Remember the days when you had to get up off the couch to adjust the thermostat? Or when you worried all morning at work, wondering if you’d turned off the coffee pot? Or perhaps that time you pulled a lump of mildew-laden clothes you’d forgotten about from the washer? Remember how the future was always around the corner? Okay, maybe you do remember, as a lot of us are still living those days and hoping to get a peak around that corner. Sounds funny now, but thanks to ever-evolving smart home technology, instead of the tried and true flick of a wrist, we will operate our homes with the swipe of a finger or the sound of a voice. How will this be possible? With home automation. Home Automation: How Did We Get Here? What started out as a very niche market for those who understood or could afford smart home technology has blossomed into a $20 billion industry. Some estimate it will grow to $50 billion by 2022. There are a couple of key things to understand before heading down the road of home automation. Enabling these items to collect and exchange data with other devices creates this interconnected network of things. When you put these items together under one roof, you create an ecosystem capable of handling everyday functions our tired little hands used to fumble with. You create home automation. 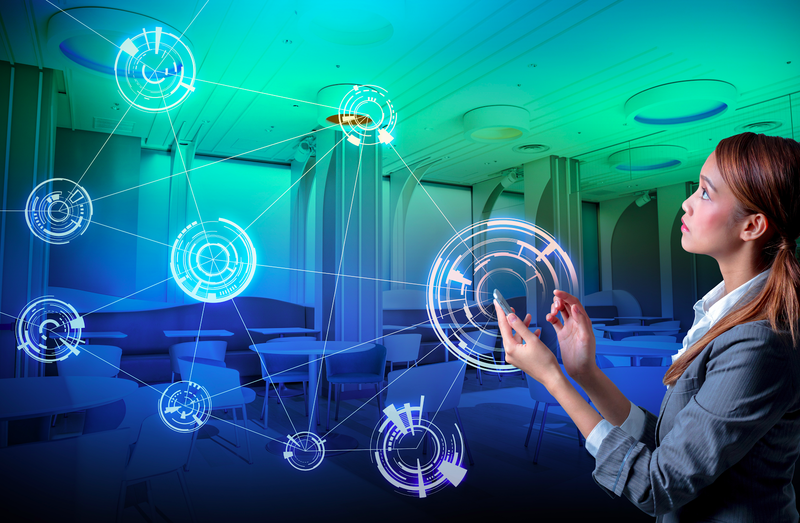 By 2025, the IoT may encompass over 75 billion connected devices. Those are big numbers, but for most people, the concern is only the number of devices under their own roof. You may hear the term ‘smart home’ and picture something out of a sci-fi movie, way out of your price range. However, retrofitting the modern home of today can be an inexpensive endeavor, with little or no outside help. As we will explore a bit later, home automation comes in many forms. Any system that can operate over a network can be referred to as a smart home device or system. 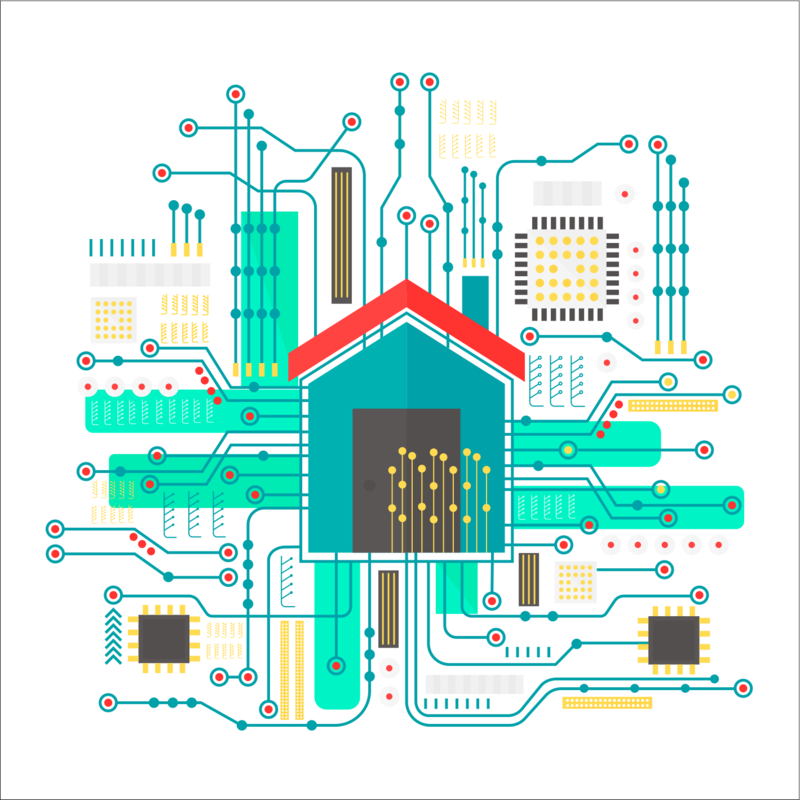 A lot of options exist within a house that are prime automation candidates, such as lights, HVAC, and security. Understanding the technology behind the smart homes is helpful. How devices communicate with each other is a key component in every smart home. Below is a list of the communication controls or protocols found in most of today’s home automation. X10 – This protocol supports a combination of wired and wireless communication, giving it dual mesh capabilities. X10 uses the electrical line as the main data transmission source. Wireless devices send data via Infrared (like older IR television remotes) and a radio receiver then provides a bridge which translates the IR data to X10 power line information. 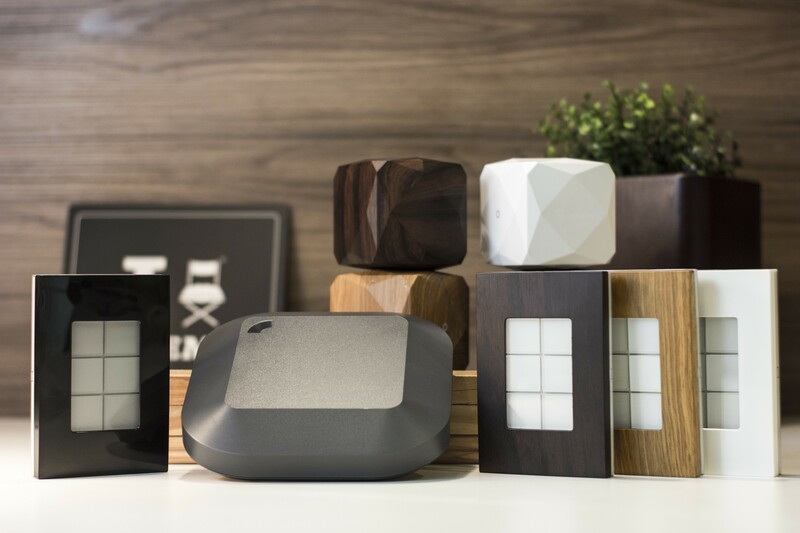 ZigBee – A mesh network, the ZigBee protocol works as a relay, with communication signals running through a series of devices until it reaches the intended target. Because of the design of the relay system, the strength and reliability of ZigBee communications get better as components are added to the relay. The drawback to ZigBee is the slight variations in which companies may program their devices using the protocol. Meaning Company A’s device may be incompatible with Company B’s device. This protocol is often used by a manufacturer to ensure a singular ecosystem in smart home installation. Z-Wave – Similar to ZigBee, Z-Wave is also a mesh network that communicates on a relay-based system. Unlike ZigBee, Z-Wave components are all compatible with each other. And while not as robust, power-wise, Z-Wave does have a more efficient communication method. Like ZigBee, Z-Wave requires a hub to translate its signals into something a tablet or smartphone can read. Wi-Fi is usually reserved for things that need a lot of data. Streaming or web surfing are among the most common. Smart home devices use low-frequency signals and are an ill fit with normal wi-fi. On top of that, a wi-fi network pulls a lot of power. Most automation products would need their own source of power or extended life batteries to function. Bluetooth is better known for its connectivity with devices that are near each other. Examples include your smartphone pairing with your car or wireless earbuds while jogging. 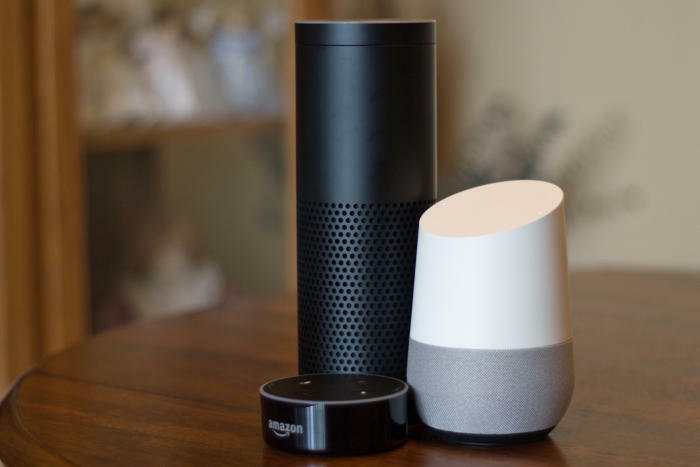 Now that we’ve seen the different communication protocols, let’s look at the devices that make up a home automation system. 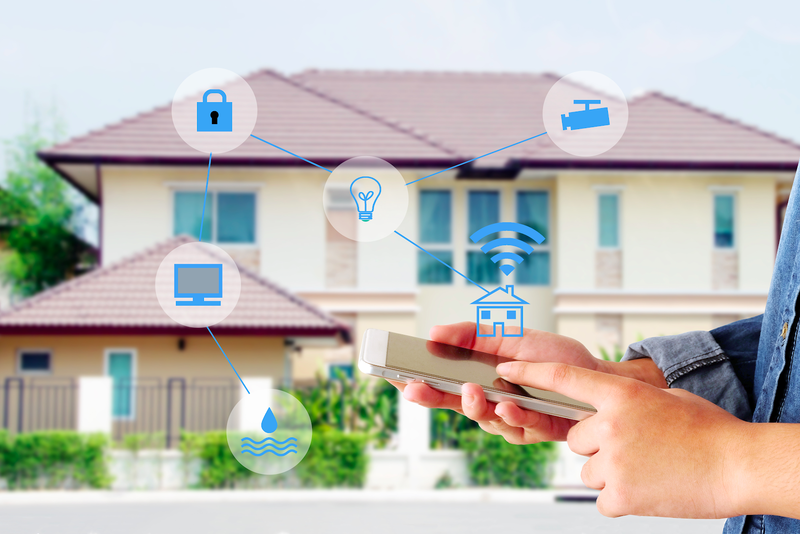 Smart home device technology comes in many forms and at many price points. Looking to go wireless with a handful of lights? You can set it up for less than $100. Want to take the “go big or go home”, or more accurately, the “go home big” approach? Costs to hardwire your home with built-in smart devices can exceed $5,000. With so many options available to outfit your home, it’s important to know your goals and budget and what you hope to get out of your intelligent house. A comfortable balance, in the beginning, makes the addition of future devices that much easier. Detectors – Smart detectors provide peace of mind, so you aren’t left worrying that you forgot something. Smoke and carbon monoxide detectors are vital additions to any home. Costs usually run over $100 per unit. Gas and water leak detectors run less than that. Heating and Cooling – With the initial success of 2011’s Nest Learning Thermostat, this product category is most associated with home automation. Very competitive, this segment has a wide price range, with units as low as $35, and higher end models over $200. Lighting – With the ability to control lights through your tablet or phone, intelligent lighting has become the initial step many take in setting up smart home technology. From dimming to timing to color variations, there are a ton of options available at price points as low as $20. More elaborate lighting networks can exceed $500. Security Systems – This area has taken home automation to the next level. A lot of the newer, more advanced smart home tech is in this category, with keyless entry, camera equipment, and more. Depending on how robust of a system you need (or want), easy, do-it-yourself kits start in the mid-$200s. Hubs – Hubs, for the most part, are what tie your systems together. Z-Wave and ZigBee devices rely on a hub as the central point of contact to tie together the network of smart devices running in your home. You can purchase a quality hub for under $100, but higher-end versions can run well over $250. The items noted above are what many consider to be the entry-level products, simple and inexpensive. As homeowners get more comfortable, they may want to try more advanced products like those listed below. Appliances – Get a text message from your washer when a load finishes. Have your fridge create your grocery list for you. Shut the coffee pot off from work. Smoke a brisket for a few hours while remotely controlling its temperature. All possibilities with smart appliances. Energy Management – Track your energy use and make changes in real time, from any location. Lawn and Landscape Care – Control your pool cleaner, mow your lawn or set the irrigation system, all via smartphone app. Window Coverings – Automatic shades and blinds timed to open or close with your bedtime or wake up call. The advantages to beefing up your home’s IQ are clear. Tailoring your system to fit your needs. But what are the drawbacks, if any? As with most tech advances, there are some things to consider. First, with all the options out there, setting up a system, especially for a novice, can be a bit overwhelming. To overcome this, its always recommended to start small. Dipping a toe in the shallow end is fine when you consider the total investment you could be making. Start with a few lights, or a new thermostat, and graduate from there. The tech isn’t going anywhere, so take your time choosing what’s right for you and your home. Next, always be mindful of security. Breaking and entering, in the digital age, takes on a far more complicated meaning. Understand the ways thieves may work to undermine your smart home, particularly the part tasked with security. Use multiple levels of authentication. Keep your device security up to date. Use anti-virus software where appropriate. Avoid public wi-fi. How many devices do you want, or need? Do you want a smart house or a couple of smart rooms? Are you willing to spend $500 for a simple one-time setup? Or will this be an ongoing smart build, that may run you into the $1000? Answering these questions ahead of time will make the home automation process more fun and stress-free. When it comes to home automation, the future is now. As the market expands, the tech will continue to improve, the price points will get more competitive and items available for automation will multiply. The benefits to consumers will be endless. And one day you’ll tell your grandkids, that you didn’t dream about the future, you lived it. Original article posted at IQS Directory.